Madame Morgana has been Reading Cards and Palms for 40 years. 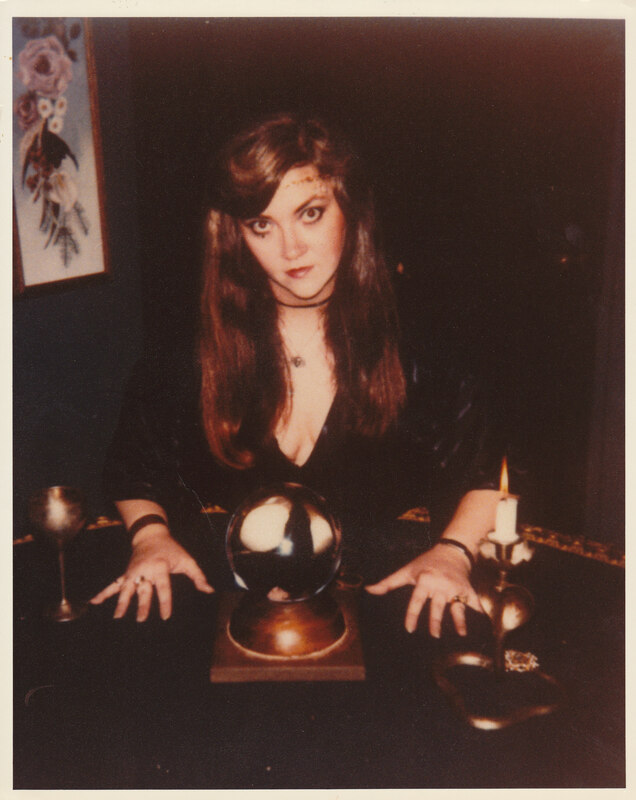 Morgana is available for telephone Readings. Please call for appointment. about $40. for 20 minutes. Morgana has appeared at hundreds of Events and Parties. She is very popular and can stroll around an event or be seated at a table. 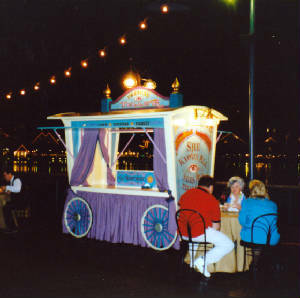 Morgana puts a smile on your guests faces and shows them some Real Magic that is very individual. Here she is at Magic Island in Newport Beach California. When I was a child my grandmother was my first teacher. She taught me that life is a journey and the Signs in the Tarot could Guide me along the Path. The cards should be consulted at different times of our lives. When we feel lost and need direction. When we embark upon changes or need to make choices in our lives. Love, Marriage, Children, Luck, Career? Any of these questions can be answered in a Reading. Karma from past Lives is also a factor in our present Life.The Tarot can help you identify and work out this Karma with a simple past life Reading which includes a comprehensive Palm Reading and an Astrological evaluation. Getting Married is an important time to seek guidence. I can evaluate the compatibility of your Astrological gifts and challenges. This Evaluation includes the best day for you to get Married. By this I mean you tell us generally when you would like to get married and we will find the perfect day and time for the ceremony based on both of your horoscopes triangulated onto the perfect day and time. When Astrological aspects are identified, many obstacles can be avoided. Ronald Reagan was called the teflon President because nothing bad or negative would stick to him. His wife Nancy had an Astrologer and the Reagans lived by that Astrologer. He was Inaugurated at 2 AM on the Supreme Courthouse steps, just Ron and Nancy, the secret service and the Chief Justice. That was the optimum time Astrologically to help things go smoothly for his Presidencey. He did it again that day for the public. So with the guidance of Astrology you can glide through life avoiding Pitfalls while learning lessons. 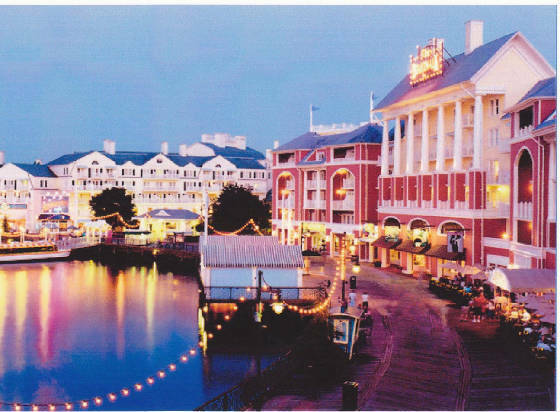 The Boardwalk at Disney World. Just before the sun goes down and the action begins. Here Morgana is Reading at Disney's Boardwalk where she worked for 10 years. or mingle and do Palm Readings.